The Swedish TV show “Tack för musiken” with Marie Fredriksson was broadcast last night on SVT. 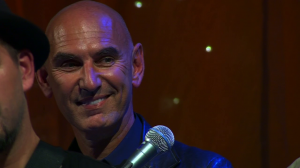 Host Niklas Strömstedt started the show with his version of “Tro”. The show has been recorded on August 27th. Marie performed I Never Loved a Man the Way I Love You (Aretha Franklin), Sparvöga, Ännu doftar kärlek, Tro, Efter stormen, It Must Have Been Love, Den bästa dagen, Om du såg mig nu, Sista sommarens vals and Kom vila hos mig. You can read a full report and a summary of the show on our partner site Roxetteblog.com. Marie’s husband Mikael Bolyos was also there and played the keyboards. At some points you can certainly tell someone is still very much in love with Marie. 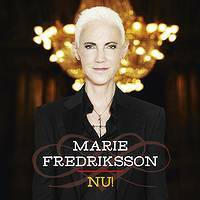 Marie Fredriksson’s new album “Nu!” is finally out. Since Monday it was possible to listen to it via wimpmusic.se, today it’s been physically released. Most songs have been written by Mikael Bolyos, who has cooperated with many other songwriters this time, such as Johan Kinde and Ulf Schagerström. Marie Fredriksson will perform together with her husband Micke Bolyos at the inauguration ceremony of Citytunneln, a 17-kilometer rail link between Malmö Central Station and the Öresund Bridge. As the grand finale, HM King Carl XVI Gustaf of Sweden will officially open the tunnel for traffic. The ceremony will be held next to the Malmö Central Station on December 4 and is free to the public. Other artists performing at the ceremony include Nisse Hellberg, Timbuktu, and Ola Salo. A while ago Marie Fredriksson’s first “official” performance after her illness has been uploaded to YouTube. At the “Kick AIDS out”-gala in Stockholm in December 2005 she performed “I never loved a man”. Her husband Mikael Bolyos joined her on the keyboards. Have fun watching.